Имате въпрос към U Residence? Разположен на централно място в Град Краби, U Residence е идеално начало за Вашaта екскурзия из Краби. Този 2.5-звезден хотел е леснодостъпен, тъй като е само на 8.2km от летището. С удобното си местоположение хотелът предлага лесен достъп до всички градски забележителности, които задължително трябва да се видят. U Residence също така предлага много съоръжения за обогатяване на Вашия престой в Краби. Този хотел предлага множество удобства, за да задоволи и най-изискания вкус. Насладете се на висококачествените удобства по време на престоя си тук. В някои стаи са на разположение телевизор с плосък екран, достъп до интернет (безжичен), безжичен интернет достъп (безплатен), стаи за непушачи, климатик, които ще помогнат на гостите да релаксират след дългия ден. Хотелът разполага с множество уникални възможности за отдих, като например градина. Насладете се на несравнимото качество на услугите и престижното местоположение на U Residence. This Hotel is a gem , a step into history . Beautifully tiled floors , spiral staircase to the upstairs rooms . My single room was bright , quiet and tastefully decorated. The staff were friendly and helpful and the breakfast was delicious . I will stay here again when I return to Krabi. Lovely small hotel perfect for a night or two if staying in Krabi Town. Friendly helpful staff. Quality is much higher than 2-3 star rating would indicate. No lift so not good for those with mobility issues. If you like retro feeling, this is the place for you. Everything about the hotel is like the oldies. Room and breakfast is good. It's like living in someone's place. I like the spiral staircase going up to the room. You don't come across this often. Staff were helpful in bringing your luggage up and down. Location is excellent. Walking distance to the weekend night market and the river. Next is just the family mart. Great ambience, shower, bed, location, breakfast - and goood coffee. 100-year old rickshaw in front, interesting pictures. Owner offered fantastic New Year cake to all. Some noise from street, but it's worth it. Lie flat to reach safety box :-) Would stay again, for sure. Beautiful old building that was kept very clean and decorated beautifully. The ornate wrought iron stairs are the center piece of the place and add to it's charm but if you are mobility limited you would not want to stay on the top floor. That's too bad because the views from the top floor deluxe rooms is incredible looking out across the river and town. Breakfast was very good. The only thing that would improve the stay would be a little more friendliness from the lobby staff and a softer bed...... but starting to think the hard bed is a nation wide thing. House cleaning staff was pleasant and did a great job. Would stay here again. Stayed here for three nights and got a “superior” room which was located in front of the bar-restaurant, very noisy, imposible to sleep. Asked to change rooms, had to prepaid, because rooms on the other side are “deluxe” so costs you more. Breakfast everyday the same, no buffet. You can choose from egg, egg and egg. Stuff cant talk english, behaving ignorant, impolite, no common sense. It is only 3 star hotel, but the tv is not working, shower is hardly working. Not worth considering. Lovely little hotel near centre of krabi town. Very clean room, with mid 1900 heritage furnishings. Fridge in the room and supplied an electric jug for use in the room when requested. Need to take care going up and down the spiral staircase to the room. Staff are happy to help with luggage. Lovely breakfast of eggs, toast coffee and juice. The staff helped me to carry the luggage up to the second floor as there was no elevator in the hotel. 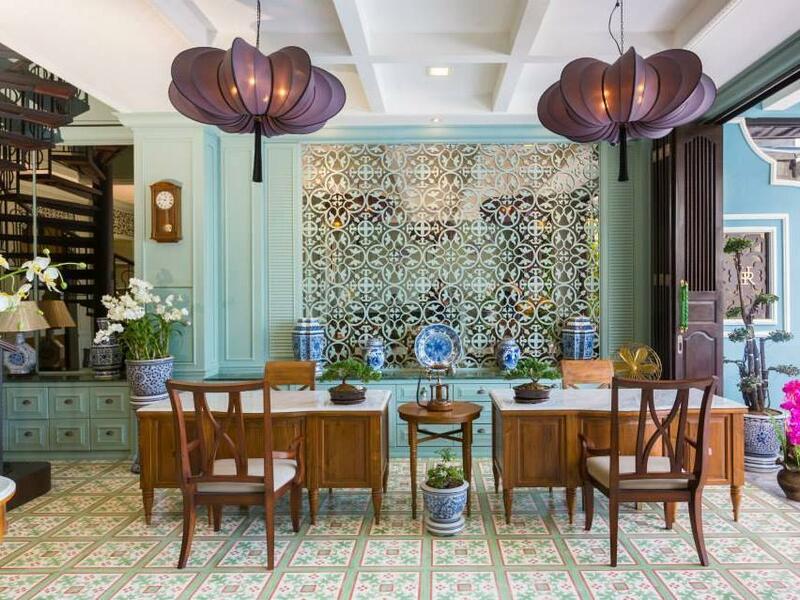 Small charming hotel with a beautiful interior. The room was clean and comfortable, albeit small, but then it is a room for single occupancy. Staff were friendly and helpful with no problems communicating in English. Only minutes' walk from shops, restaurants, Krabi Night Market, Krabi Walking Street and Wat Kaew. Post office is only a minute's walk from the hotel, Family Mart barely a minute's walk away and a good laundry service right across the road. This is a great place. Walking distance to Pier, in cheaper part of town so no wild bars, etc. Very good value by Thailand standards. The stair issue, commented on by many, is not such a hardship and the staff willingly carry bags up and down the stairs. The issue, and it really was worst we experienced in Thailand, is the mattress. It was unbearably hard - I did chat to them about it. I would rave about the place if not for the mattress. If they changed them, this place would deserve a solid 5 star review. You really can't tell from the outside, but it's a very cute and quaint little hotel, and from the top floor rooms the view from both your bed and your balcony is nothing short of fantastic. The room we stayed in was really beautiful, which is a description I've never used about any hotel room before. Someone put a lot of love into furnishing and decorating. There is no elevator, and the staircase to the topmost floor consists of the tallest steps I've ever encountered. You'll find yourself taking extra care, especially when going down, and for the first time in my life I called down to get help to carry my luggage. Both floors and stairs are wooden, and to keep noise to a minimum, shoes are kept in small room-numbered drawers in the reception. If I remember correctly, children under 12 aren't allowed to stay on the upper floors for the same reason. The AC was either a bit tired or underpowered, so the temperature stayed well above 24 C until well after we fell asleep. Only stayed here one night but will definitely pick the same place next time around! We stayed here for one night before heading to Koh Lanta and it was perfect. The decor in the hotel is lively. Lots of attention to detail and special little features. Lovely view if the river from the third floor. Staff were very helpful. The location is great because it's five minutes from bars and restaurants, but not noisy. It was wonderful experience. Love the design of the room and the hotel. 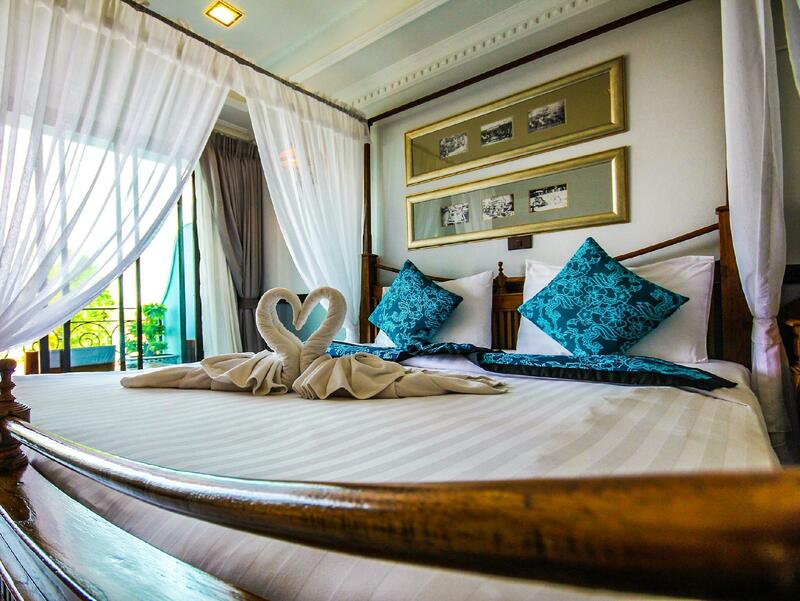 Very good location in Krabi town (walking distance to the night market). 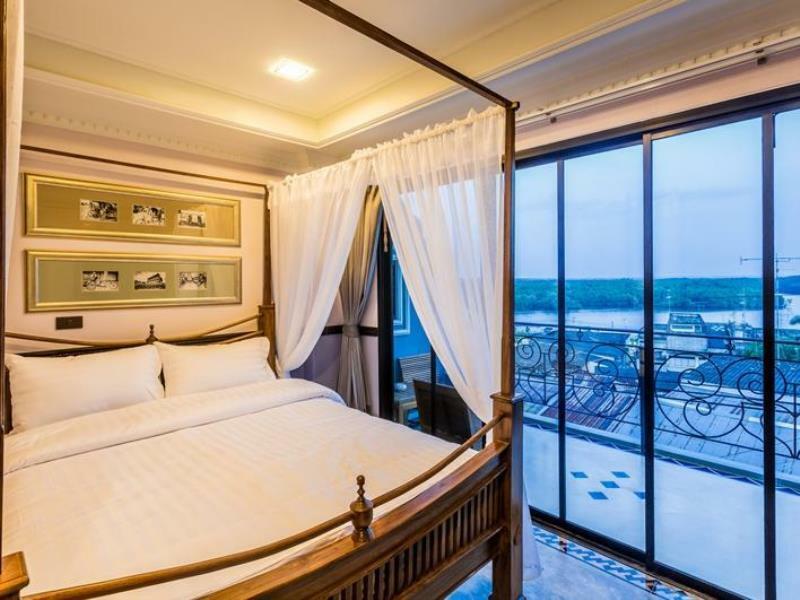 Suitable for a night stay when you landed off from the airport but it is a bit far from Aonang Beach. 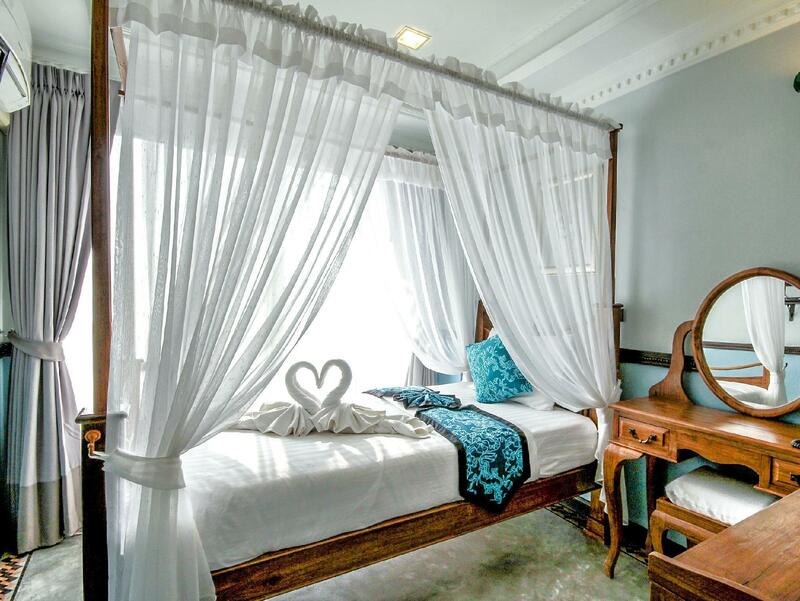 IT'S LOCATED AT KRABI TOWN ,WALKING DISTANCE TO WEEKEND MARKET,FOOD MARKET & MASSAGE PLACE. YOU CAN RENT A MOTORBIKE IN FRONT OF THE HOTEL ,COST ABOUT THB $200 INCLUDED FUEL OIL.ROOM IS VERY CLEAR AND COMFORTABLE .STAFF ARE VERY FRIENDLY,NICE & KIND.ROOM IS GREAT AND PROVIDE FOC BREAKFAST FOR GUESTS.WELL WORTH OF MONEY.THE HOTEL STYLE HAS DECORATED VERY FANTASTIC!WELL DONE! BEST HOTEL AND WE WILL BE RETURNING NEXT TIMES. The stay was just wonderful. The interior of the hotel is so superbly done, even though the beds were a little hard (perhaps it's a thai culture). It is very close to a few night markets, some pubs, massage parlours.. basically it is very well located. Staff were superb, very helpful and assisted us in booking for the Kayaking activity at a discounted rate. Overall a lovely experience and would definitely recommend to my friends!